Parasitic wasps turn spiders into zombies... again! Parasitic wasps turn spiders into zombies… again! Wasps are a nasty bunch; you don’t want to mess with them no matter who you are. Not only can they sting you really bad and ruin your day, they can actually control your mind, force you weave a web for their offspring and then kill you – well, if you’re a spider at least. The Reclinervellus nielseni wasps deposit their eggs in spiders, which initially, is nothing but a nuisance to the spiders. However, after the eggs hatch, the larvae actually force the spiders to hatch a reinforced web to keep them safe as they transition into adulthood – after which, they kill their hosts. Several parasites can control the minds of their hosts and lead them to demise. A certain fungus can control the mind of ants while jewel wasps can do the same thing to cockroaches. In fact, it seems like wasps are masters of mind control! New research out today in the Journal of Experimental Biology details the intricate process through which Reclinervellus nielseni does this. In order to figure this out, Keizo Takasuka of Kobe University’s agriculture science graduate school looked at the Cyclosa argenteoalba spider’s web construction. He found that the spider weaves two different types of webs: an orb web, for hunting, and a resting web. The hunting webs are thicker and sticky in order to trap insects, while the resting ones are looser and with fluffy decorative elements. But he also observed that sometimes, infested spiders create a different kind of web, one that serves as a nest for their parasitic hosts – the wasps. After it’s done, for all its efforts, the spider just gets eaten. After they hatch from the eggs, they start feeding from the liquid inside the spider and compels it to follow instructions for a new type of web. 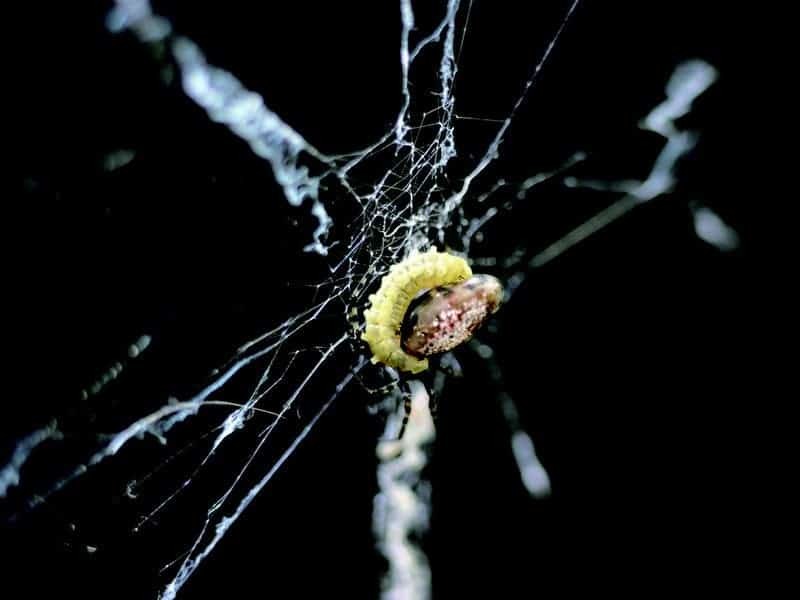 The spiders actually destroy their orb webs to build a wasp cocoon; after this is done, the larva kill the spider and turn the web into an actual cocoon. It’s a cruel and painstaking process which you can watch below, if you have the heart for it. The exact mechanism through which the parasite controls its host are, as with other parasitic cases, still a mystery. 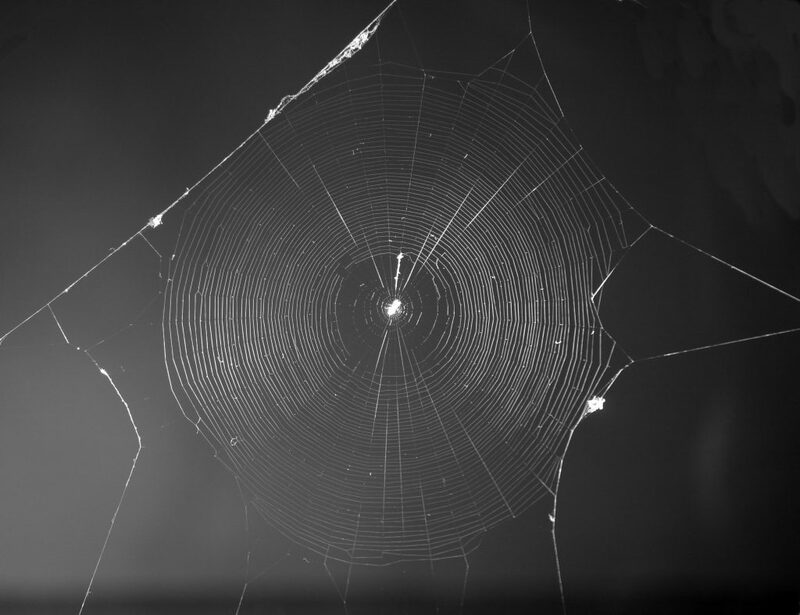 It is most likely some type of chemical, a hormone that encourages the spider to build a specific type of web. The next step for Takasuka is to understand this mechanism and see how the wasp evolved into such a complex breeding cycle. In the meantime, we’re just thankful we’re not spiders.